This is a day for sharing. Once again, I feel like I’m playing catch up…but my my mad muse finally struck and I finally finished my poem to submit to the the annual HWA Poetry Showcase. Since I can’t share it, but my brain is full up with it, this is the perfect opportunity for me to share other writer’s work I’ve been reading. First up is the poetry blog from nachtzeiteule. I know nachtzeiteule from work, and enjoy her somber subject matter. I encourage her to keep posting poetry on her blog and build up her collection. My favorite poem from what she has posted is The Garden—a conversation with a bird in a cemetery. You can find her blog on Tumblr at nachtzeiteule.tumblr.com. 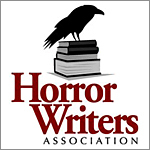 You can catch more of these snippets of horror for the rest of the month on Nina’s blog, Spreading the Writer’s Word. Thanks for posting these! I have a hard time finding the responses — more often than not. All are good, but I liked Lydia’s the best for my taste. The ending with the twist was so clever. I look forward to reading yours, Angela! Thanks, I look forward to yours as well. I enjoyed Lydia’s idea of vengeful mannequins. Maybe that’s why I avoid department stores….